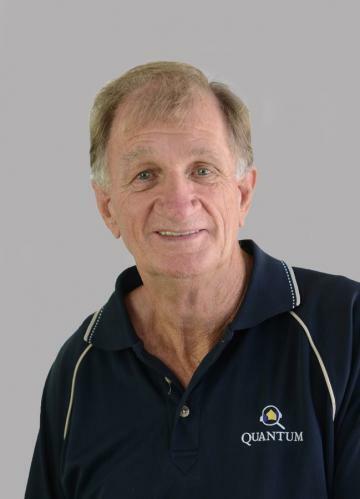 Kel has over 40 years of real estate experience in three different states including the last 28 years on the Northern end of the Gold Coast. Kel will be able to assist with all residential property and investment units. The paint is still drying ! This spacious three bedroom townhouse has just been refurbished .Sitting in a very desirable gated community with close proximity to Griffith University and the Gold Coast Hospital. Currently unoccupied so will suit either the would be owner/occupier or the astute investor. Two bedrooms and two bathrooms on the upper level with a third bedroom and a third bathroom on the lower level . Sizeable open plan air conditioned living/kitchen area .Elevated position to catch the cooling sea breezes. Complex offers full on site management ,tennis court ,swimming pool and BBQ area all in a well maintained setting. Call to organize an inspection. Located only 200metres from the sparkling waters of the Broadwater this top floor fully secured unit makes it possible to enjoy the Gold Coast lifestyle to the max. Two generous bedrooms( both complete with air conditioning and ceiling fans ),two modern full bathrooms ,open plan, air conditioned, living including a large balcony, parking for two cars in the security basement.. Nothing to do but enjoy ! Currently tenanted. Allow for 24 hrs notice in booking your inspection. Looking for a presentable two bedroom unit at a very reasonable price? This ground floor unit should fit the bill . Open plan living area and kitchen , no steps to worry about . Situated in a quiet block in central Labrador only a stroll from the sparkling Broadwater. Car accommodation and a cool pool are included. Call now ! Allow the creative juices to flow and create your own masterpiece. Start with a desirable location. Add in an elevated site of 1414sq. m. Mix in two wide street frontages each of 31m. Spice it up with coastal views. Stir in some council approvals. All the ingredients to produce a winning result ! Single level duplex in the booming Upper Coomera area .Three bedrooms ,master complete with en suite and walk in robe, contemporary kitchen with granite tops and stainless appliances, open plan living al fresco area and double garage .Current tenant has lease through to Dec. Don't be slow.